Power up the device ---> Connect the Internet ---> Sit down and enjoy! 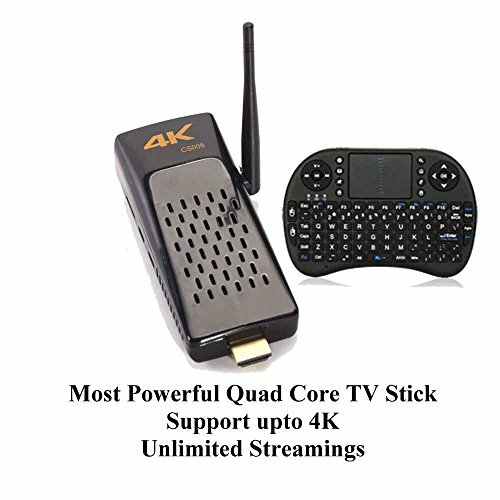 ★ STRONGEST 2G/8G QUAD CORE RK3288 CPU - Cutting-Edge Performance - The next generation and the most powerful TV STICK Android streaming media player - Unlike other media player, our Kukele TV box(all models) are Original designed & with no restrictions. ★ UNEQUALABLE WARRANTY & UNMATCHABLE CUSTOMER SUPPORT SERVICE -INSTANT & ALL TIME SUPPORTS - CALL BACK SUPPORTED - Response mostly within 9 hours(7 days a week) - Comes Automatically Covered when you place your order no matter what happens to it. ★ AUTO-UPDATING EVER-INCREASING Media library - Constantly maintaining & improving, then automatically update to the device so that you will never get behind with unlimited growing content!